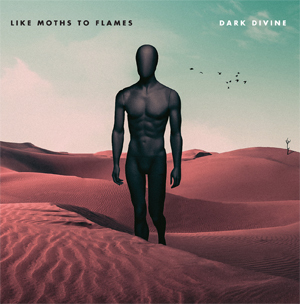 Due Out November 3; Band Drops New Song "Nowhere Left To Sink"
LIKE MOTHS TO FLAMES have announced their new album Dark Divine. It will be released on November 3 through longtime label Rise Records. The album was produced by Erik Ron at Grey Area Studios and mixed by Caleb Shomo (BEARTOOTH). The band has just dropped the band new song "Nowhere Left To Sink". It is available HERE or HERE. The accompanying video will arrive shortly, as well. Dark Divine is available for pre-order HERE. The track listing is below. LIKE MOTHS TO FLAMES will tour this fall with FIR FOR A KING and IN HEARTS WAKE. All dates are below, as well. "Shallow Truths For Shallow Minds"
"Even God Has A Hell"